One of the reasons we’re overconfident is that we actively seek evidence that supports our views. That’s true of everybody, that’s part of human nature, so that’s one reason we’re overconfident; we’re out there looking for support that we’re right. We rarely go out of our way to seek evidence that would contradict us. Wise advice for any decision in life, but especially so in investing where bulls and bears staunchly defend their views. In today’s market, there may be no other company that attracts as many strongly-held opinions as does Amazon (NasdaqGS: AMZN). Most recently, there have been rumors of the tech giant entering the pharmaceutical sector. 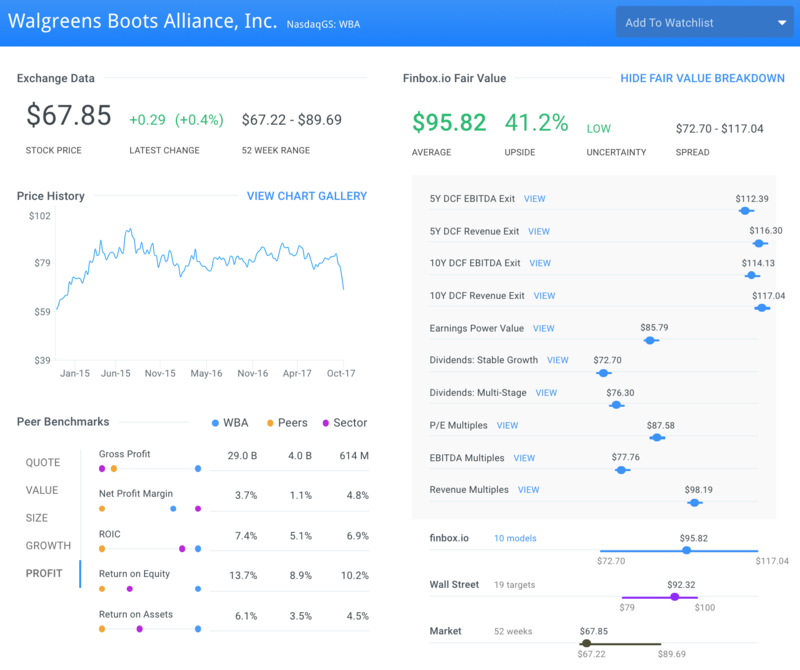 Leading retail pharmacy chain Walgreens Boots Alliance, Inc. (NasdaqGS: WBA), set to report earnings next week, is one of the companies that would be most impacted by Amazon’s move. To overcome the potential for confirmation bias, let’s consider the bull and bear cases for Walgreens in light of Amazon and other industry trends. Walgreens is a leading, global pharmaceutical retailer (82.7% FY 2016 Revenues) and distributor (19.3%), with sales of $117.4 billion and over 13,000 stores in 11 countries. Within its U.S. Retail Pharmacy segment, pharmacy (prescription drug sales and pharmacy-related services) represented 67% of sales in 2016. General merchandise, including non-prescription drugs, beauty, toiletries, and general merchandise, accounted for the balance. Walgreens’ leadership in pharmacy is clear, with the company filling about 20% of U.S. prescriptions in 2016, a roughly 2.4% increase over fiscal year 2015. 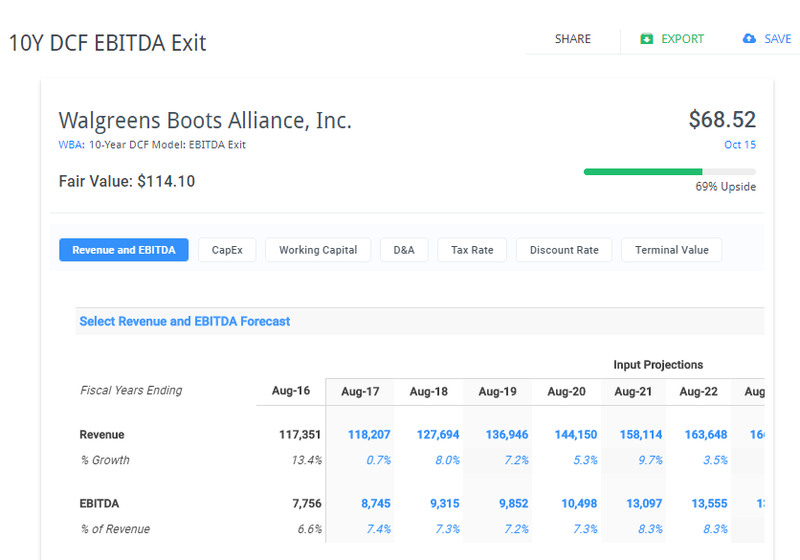 The company’s acquisition of Alliance Boots, a major European pharmacy store operator and distributor, should boost Walgreens’ supplier purchasing power as well. While projected synergies remain to be seen with its recent acquisition of approximately 1,900 Rite Aid stores, the move should also increase Walgreens’ purchasing power. To offset several headwinds (more on that below), management is adapting its in-store product mix strategy. On its latest earnings call, management laid out its intentions to increase emphasis on general retail products with a particular focus on beauty. The move makes sense, as 20% of overall shoppers plan to spend more on cosmetics and 28% plan to spend more specifically at mass beauty stores such as drug stores. However, this strategy does put the company in direct competition with mass merchants, a very competitive sector. The big news affecting Walgreens last week was the latest rumors of Amazon entering the pharmaceutical business. Reports from internal e-mails suggest Amazon will make a decision on a move by the Thanksgiving holiday. This after reportedly doing extensive due diligence on the sector and hiring key personnel. The type of move, whether acquiring or partnering with industry players or organically building competencies, remains to be seen. The nature of their involvement, selling direct-to-consumer, acting as a Pharmacy Benefits Manager (PBM), or some combination of the two is also uncertain. Regardless, there appears to be some consensus that the move would need a few years to materialize. In addition, Amazon’s entry may be more of a long-term threat, as seniors make up the highest consumers of prescriptions drugs and still prefer personal care from their local pharmacists. One reason for the downtrend is that big PBMs have gained pricing power as they leverage their claim volume during negotiations. Walgreens earns the majority of pharmacy revenue from these PBMs and other third-party payers. There are certainly cases to be made by both the bulls and the bears. What is the net effect of these factors on projections? Under these assumptions, finbox.io’s average valuation estimate across 10 models is $95.82. This implies over 40% upside while shares also offer a 2.4% dividend for additional total return. Seeking out contradictory evidence to a stock thesis can help overcome confirmation bias. The latest news that Amazon may enter the pharmaceutical business has brought out the bears, tanking Walgreens’ stock and pharmacy peers last week. However, value-oriented bulls may view the dip as a buying opportunity, as the stock shows nearly 40% upside under consensus analyst expectations. With Walgreens set to report earnings next week, a closer look at the company appears justified.